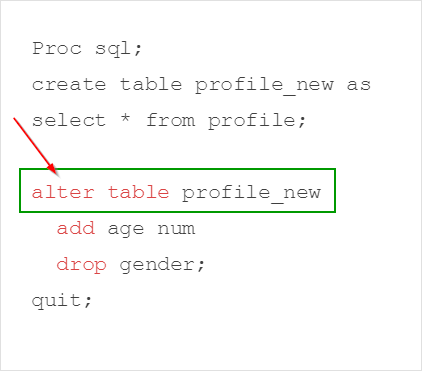 In the previous sections, we have learned how to insert and update rows in a SAS table. 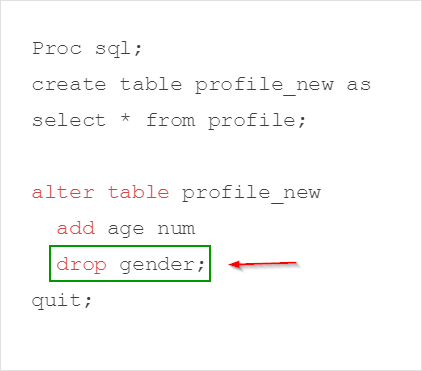 You can also alter the table columns in the SQL procedure. 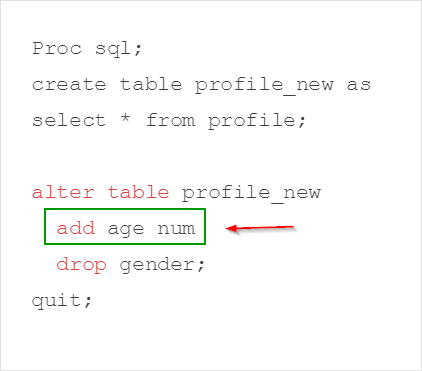 The ADD clause adds the AGE column to the PROFILE_NEW table. 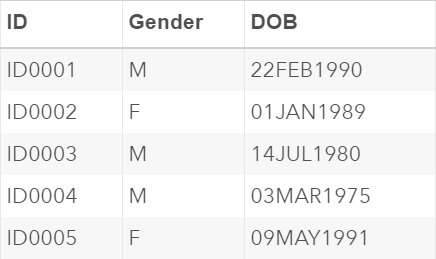 You can also modify an existing column using the MODIFY clause in the ALTER statement. The DOB column is assigned the format of (date9.). The date is displayed in the form of DDMMMYYYY (e.g. 22FEB1990). We are going to change its format to (yymmdd10.) using the MODIFY clause. In addition, we will increase the length of the ID column from eight to 20. 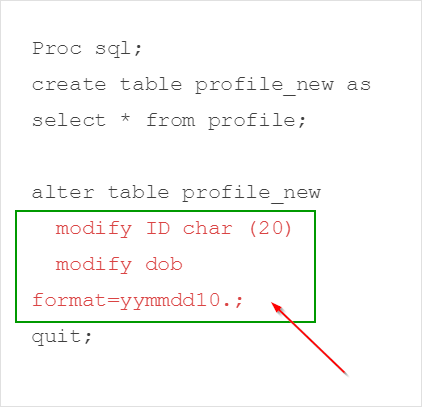 The first MODIFY clause assigns a new length of 20 to the ID column. 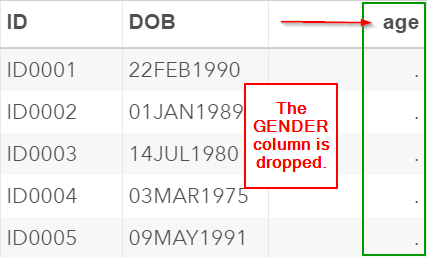 The format of the DOB column is also changed to (yymmdd10.). 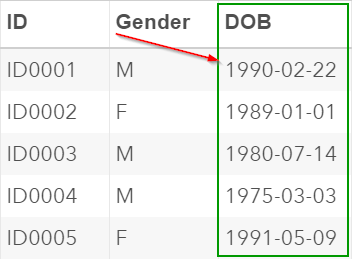 The DOB column is now displayed based on the format of (yymmdd10.). Locate the CLASS table from the SASHelp library. Copy the CLASS table into the Work library. Name the table as CLASS. ENROLDATE: the column that captures the student’s date of enrollment. It should be assigned the format of (yymmdd10.). RESULTS: the column that captures the student’s overall score in the class. It should be a numeric column. In addition, drop the HEIGHT and WEIGHT columns from the table.